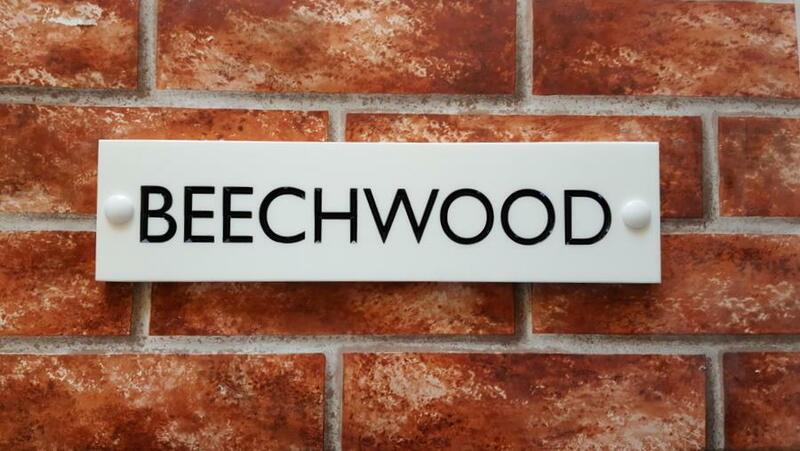 Made from white solid surface material (similar to Corian) with a 10 YEAR GUARANTEE. 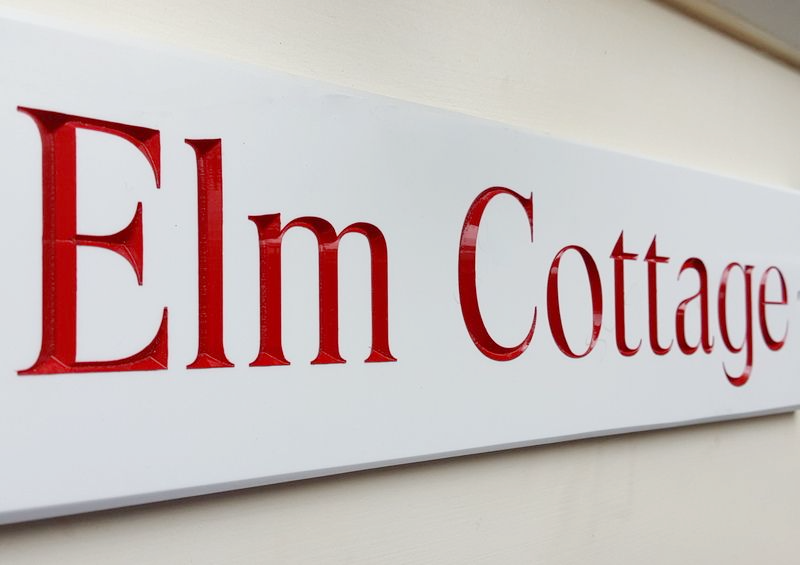 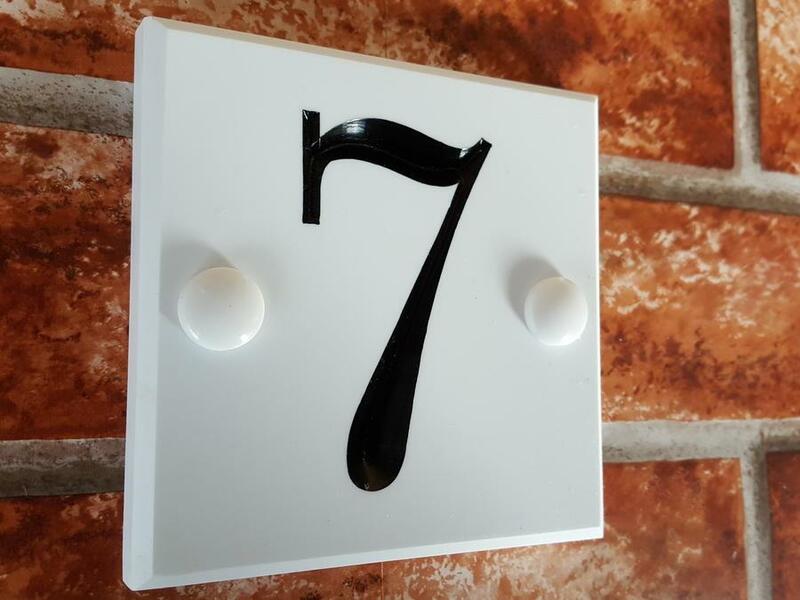 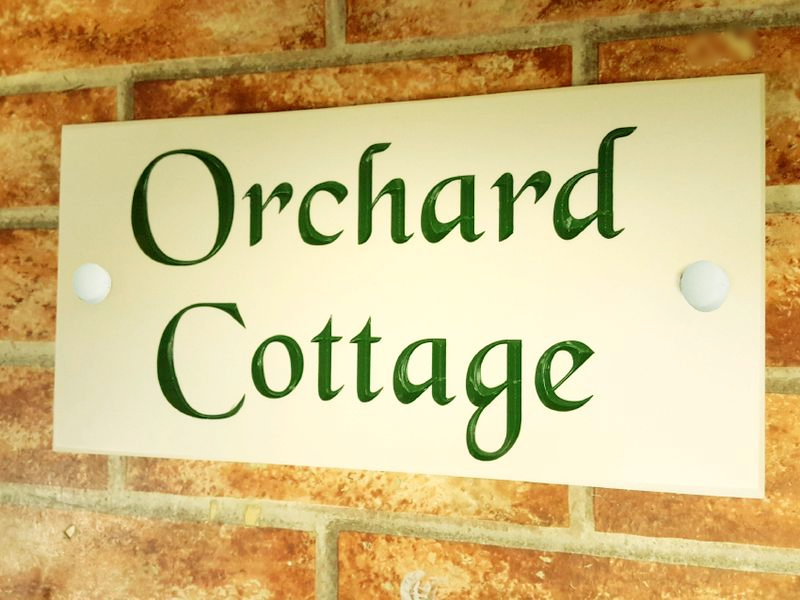 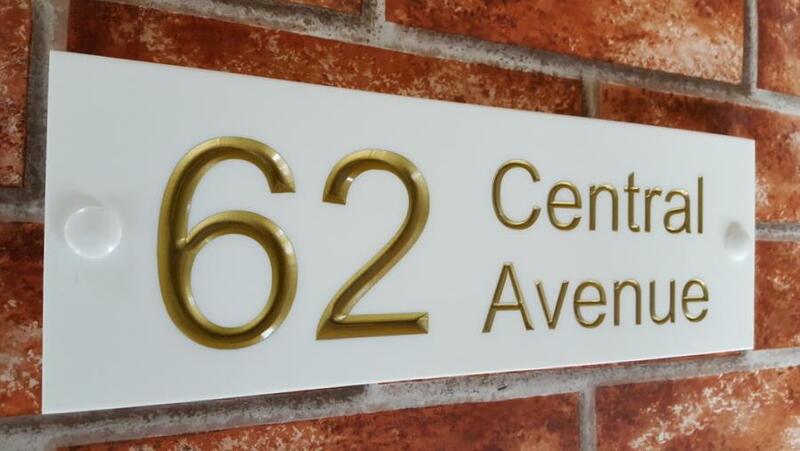 Elegant but durable, these products are weatherproof, extremely tough and will normally outlast perspex (acrylic), ceramic, wooden or even metal house plaques. 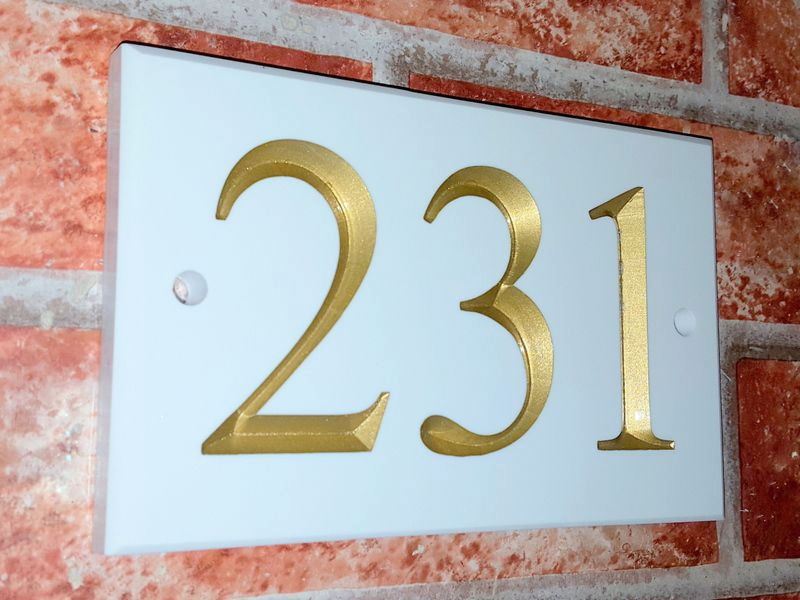 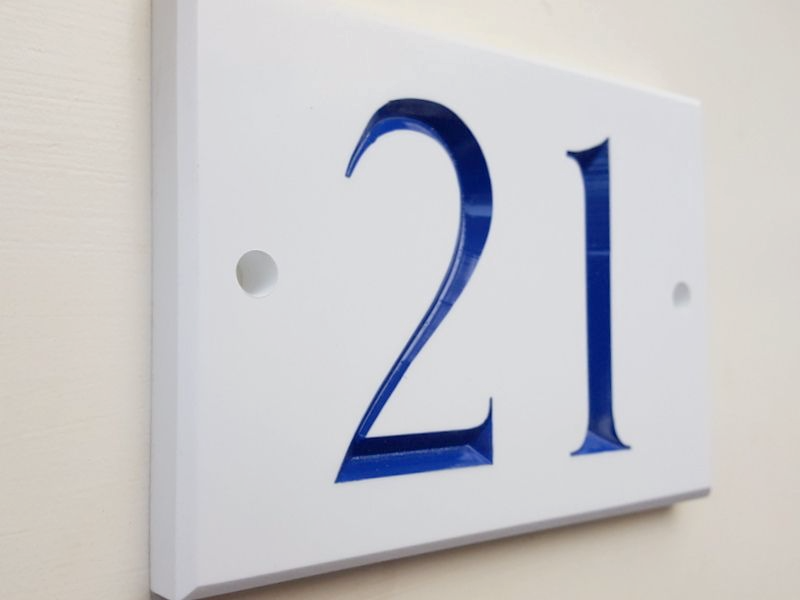 House names and numbers are deeply v-carve engraved in a choice of 19 fonts and 7 inlay colours.